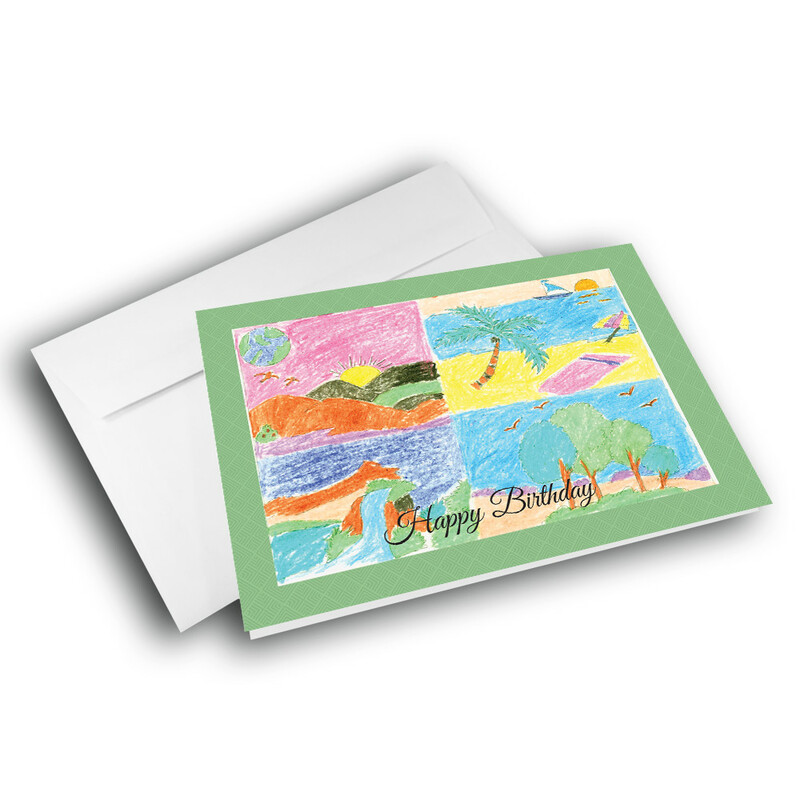 Send a charming birthday card, made from child's artwork, to brighten up a special day. 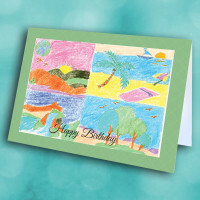 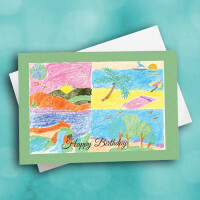 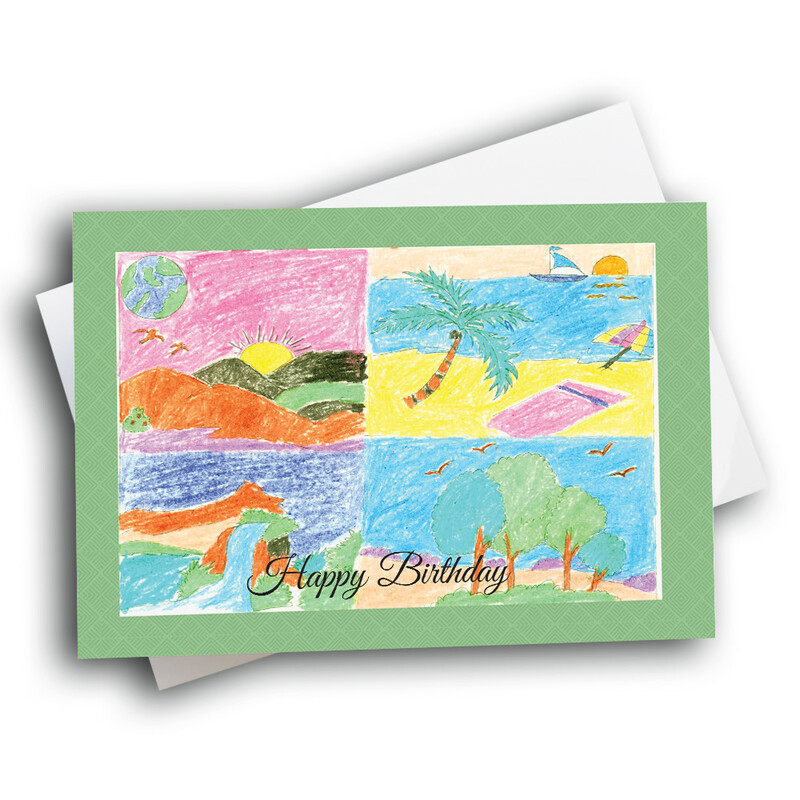 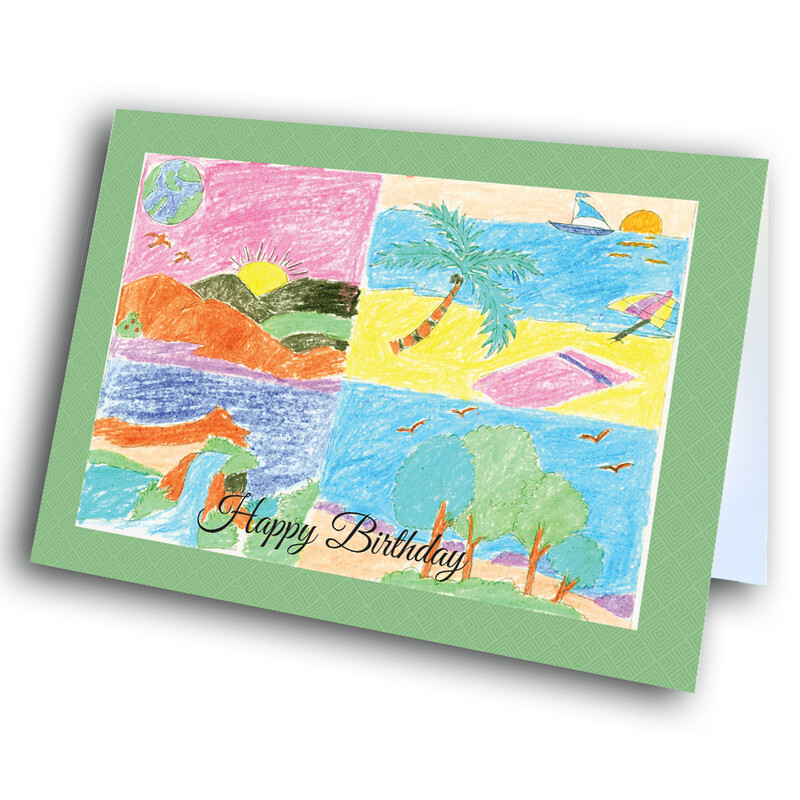 Make your birthday greetings unique with this child's artwork-based birthday greeting card.The front is divided into four unique scenes, each one with a different theme and design; there is a mountain sunset, a sunny beach, a peaceful forest, and finally, a waterfall. 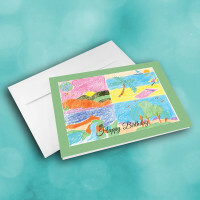 The four scenes are enclosed in a mossy-green border. 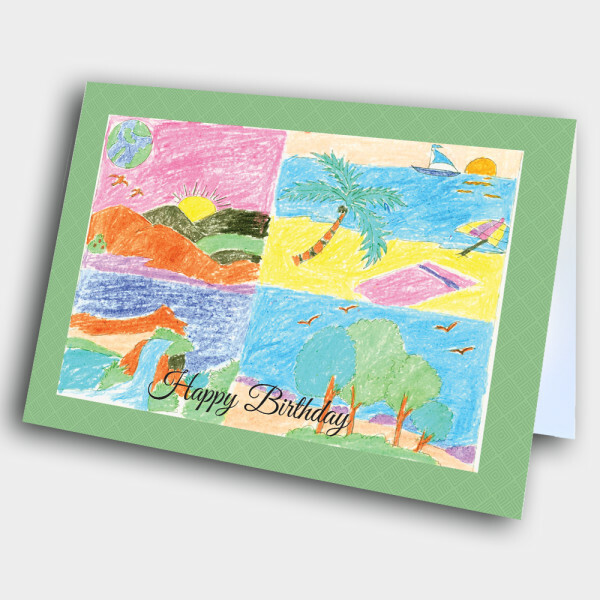 Inside, you can add a personalized message to make this card even more meaningful.